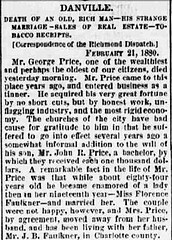 George Price married again, even though wedded bliss was short-lived. At the ripe old age of 84 he married 19-year-old Florence Faulkner. Not long after the marriage began, Florence moved back home to live with her father in Charlotte County, NC. 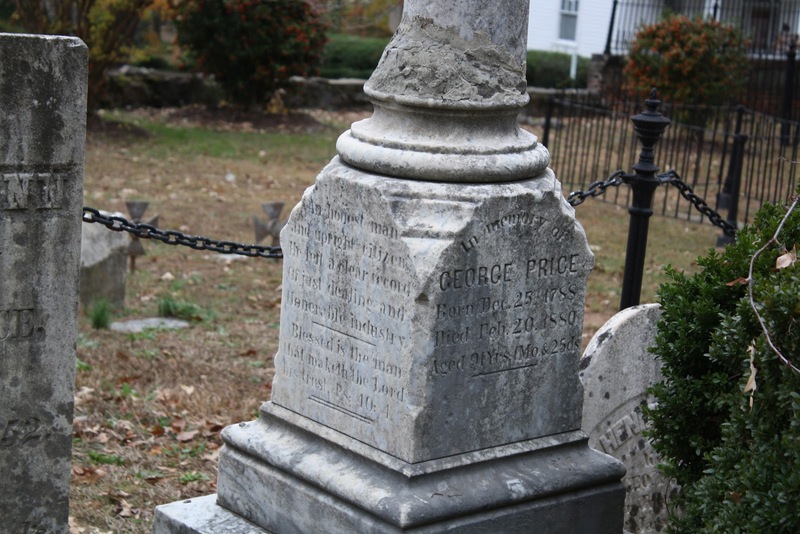 Henrietta’s marker (not pictured) is also in Grove Street, along with some of George & Mary’s children and grandchildren. 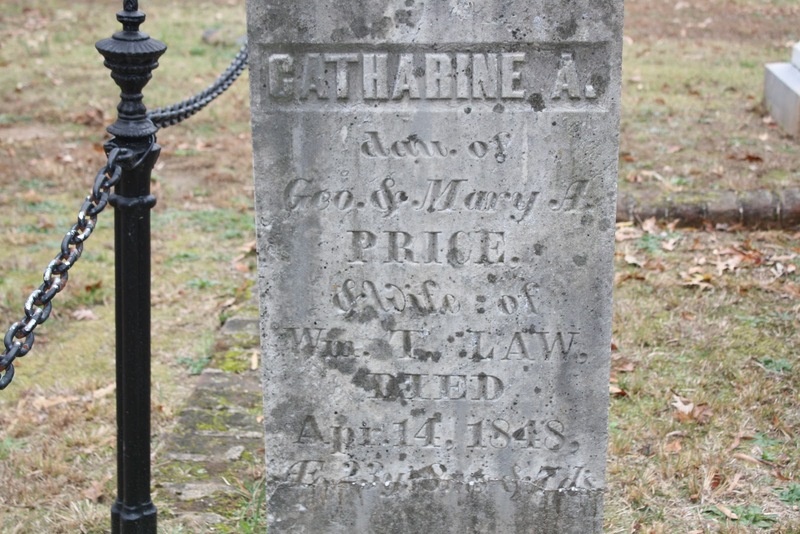 Catherine, daughter of George and Mary Ann Price. 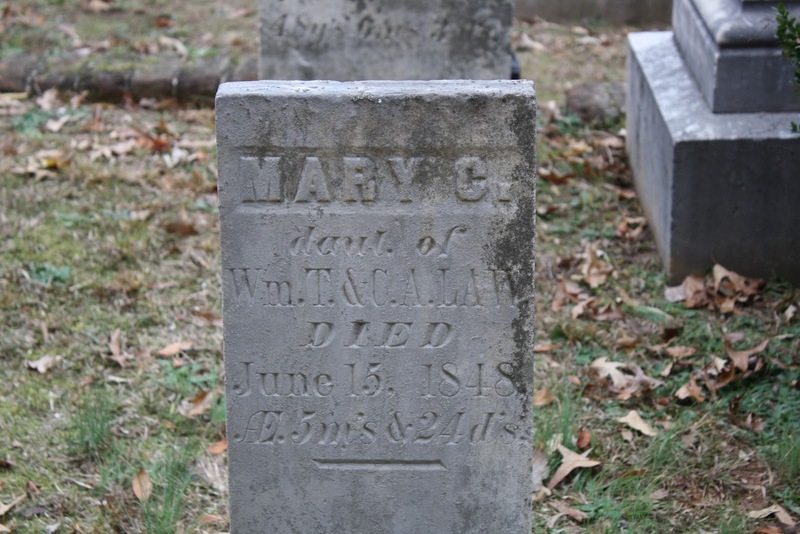 Mary C. Law, Catherine’s daughter, died in 1848. 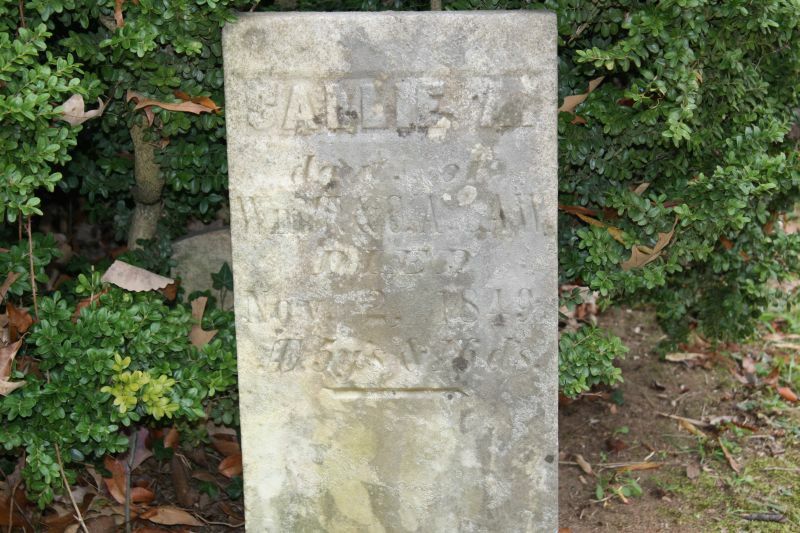 Sallie, another one of Catherine’s daughters, died in November 1849. 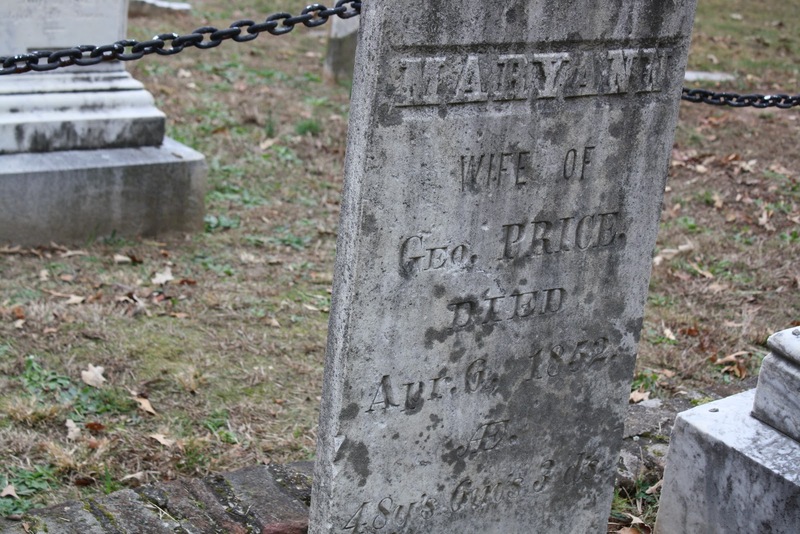 It looks like the inscription might indicate that she was 5 years old. 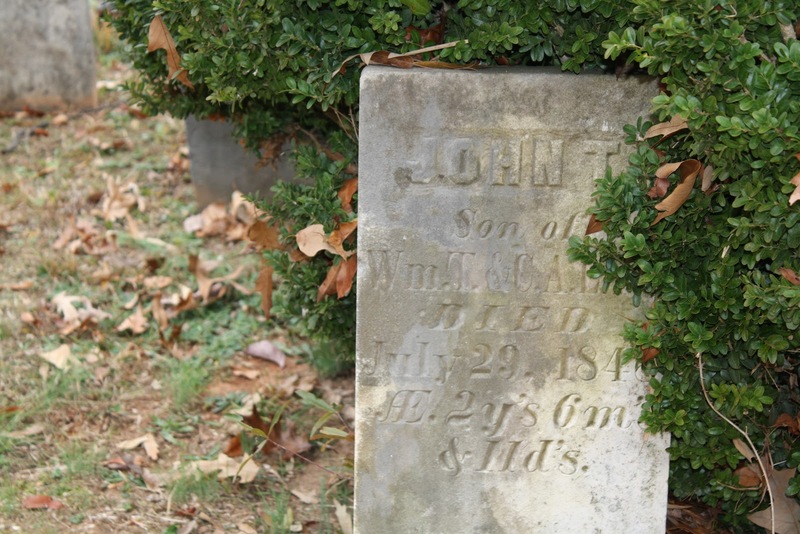 John T. Law, also Catherine’s child, died in 1848. He was two. One source indicates that Catherine and her husband had six children, none of who survived to adulthood.